I am seeing another spike in SEO/Webmaster chatter at the ongoing WebmasterWorld thread of a possible Google Panda update. It makes sense, Google told us about ten days ago that the Panda update we thought we saw was not a Panda update but we should expect a Panda update in about 7-10 days. Well, it is about ten days and the forum are buzzing about it. I emailed Google and they told me the Panda update happened around November 21st, so a lot less than 7-10 days from when I asked. In fact, it was less than two days after I asked. 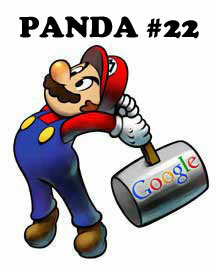 So there was a Panda refresh on November 21, 2012 - version number 22. Google did not tweet anything about this update, at least not yet. Update: Google told us 0.8% of queries in English were impacted by this.